When it comes to shifting funds between currencies, banks are the first instutions that spring to mind to do this for you - especially the big banks who have international connections. But are they the best option? For many it seems a daunting project, but for most people it should not be, and you could be much better off using a currency specialist. The big banks are a safe pair of hands that can handle what is undoubtedly an important transaction, one you will probably only do infrequently. What could go wrong? The answer is, nothing likely. But there is more to it than that. There is zero extra risk using a currency specialist, costs will almost always be much lower, the speed faster, and the process almost always more convenient. Non-bank foreign exchange specialists have become significant players over the past ten years or so, and they have done that by offering 'more' than the banks. Just how big they have become may surprise you. 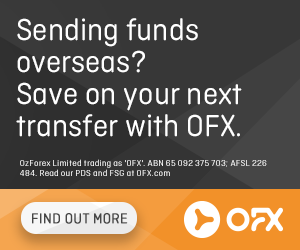 HiFX New Zealand reportedly transacted almost $20 billion in trades in 2011 according to information on their website, OFX was probably not far behind that same level. Direct FX who cover the full spectrum of the market from the interbank to one-off transfers, transacts around $180 billion on an annual basis. To grow that big these non-bank specialists have had to offer good reasons to win business. But are these benefits worth it? And what are they? The first reason to use them is that you are likely to save money - and it could well be a significant sum. The reason is that these specialists operate with much lower overheads, and they deal in large volumes. This usually means their rate offers are sharper. In this survey, ANZ was the bank with the best bank rate when we checked, and BNZ was at the other end. It is not always like this because institutions are competitive in different currencies and at different times depending on the market conditions. But in this survey, it was clear than you could save up to almost $2,000 by using the non-bank specialist. In anyone's terms that is a significant saving, one you probably would not have noticed as significant if you just compared the rate - ie 1.9246 vs 1.9474. Banks do charge fees on top of the rate margins - but depending on the amount you transfer, most non-bank forex specialists don't charge such fees. So how hard is it to use a non-bank forex specialist? It is probably a lot easier than you think, but it does require a one-time set-up. After that set-up, it could be even easier than working through your bank. Unlike banks, currency specialists don't require funds on account before you to deal with them. Banks will need cleared funds available before you can conduct a transaction. Usually that means you need to transfer the foreign currency here (by telegraphic transfer, or TT) and hold it in a foreign currency account at your bank. But the non-bank forex institutions probably won't require that. You can negotiate the rate with them first and then transfer the money in a few days - each has their own time rules. They also have their own offshore accounts in most markets, so that means you only need to transfer your funds to them in that market. In our example above, the transfer of your funds would go to HiFX's UK bank, and they will deliver the NZ$ equivalent to your New Zealand bank account. It is the same for NZForex. Compared with a bank, you will also be saving the TT fees and will avoid the delays (usually a bank 2 day 'value date' delay). Another reason a non-bank specialist is good to deal with is that you can easily talk to an assigned currency expert 24/7 - and that can be much more helpful than talking to a bank teller or call centre person. Often you will want to talk through practical issues, and it is useful to hear their views on market trends just before you commit to a trade. One of the most popular features specialist forex firms offer their clients is limit orders. These allow you to set a target rate that is better than the prevailing market rate at the time, and get advantage of it if there are favourable swings. These limit orders apply 24/7 so you will get your target rate if it happens. For most people, you can't do that with a bank. Forex specialists give you telephone-based or online fx services 24/5. Both banks and forex specialists offer the same access to all currencies - well almost all - and both are regulated in the markets they have offices in. To get a fair market rate for your transaction, readers should get a quote from their bank, and get Direct FX, OFX and HiFX to quote as well. There are other non-bank specialists too, and you can get a list of them here ». There are a number of 'live' resources on this website that can help you when you are negotiating rates (here » and here » ), and our daily Currency email reveals the bank vs non-bank rate comparatives whether you are selling or buying foreign currency. You can sign up to this email here ». If possible, negotiate a fixed margin or number of 'points' away from the interbank rate to ensure a consistent level of pricing for your transfers. It is a good idea to deal with a regulated company like Direct FX, HiFX or OFX - and that essentially puts your security on the same footing as any bank. The main takeaway from this review is that fx rates should always be negotiated - don't just take the carded or offered rate as there are significant savings to be made. But be prepared to settle the transaction once a deal is done. You can't reneg. Agree, NZ Forex was excellent, saved me a lot. Even transferring NZ$ to AUS$ trough a NZ Bank which is AUS owned, the Banks charge big fees. Thanks David to bring this to the attention of a wider audience. Gummy, some (most) of your comments save my day! One thing I will say for the BNZ is they did make it easy to open foreign currency accounts. But otherwise I don't know why you would use a bank to pay exchange. The specialist staff are hard to get to and the rates are terrible. I have used HiFX and A.N..Other. I use the bid/offer mid price as a measure of the price I am offered. Based on AUD>NZD $100k the two ''costs'' were circa $900 and $300 which surprised me as I had thought HiFX would be very competitive. I guess a bank would have been upwards of $1500 for the equivalent transactions. The real test is to do a bench-test transfer of funds from one currency to another and then back again on the same day. You soon find out who the winners and losers are. The last time I looked the major banks gouge a $0.10c (close to 10%) spread between the buy price and sell price while the currency specialists do a 100 pip ($0.01c) spread. I have found Currency Online to be very good for currency exchange transactions. I have used directFX for in and out transactions for some time. Great service - beats the banks and provides personal service and flexibility. Why would anyone use the banks? Unless they are having their arms twisted!!! We don't have restrictive practices any more do we? ?